Driving around, we came across a small, abandoned house. 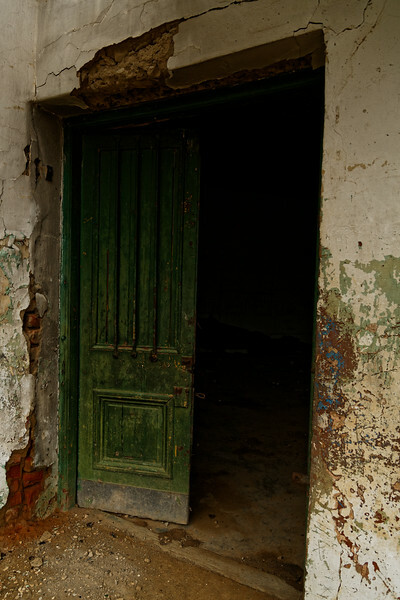 While it wasn't quite the URBEX adventure I dream of stumbling upon, this green door did catch my attention. NOTE: This is not really an HDR image, but through a careful combination of selective tone adjustments and sharpening, I achieved something that looks "HDR-ish".